Gummy Styling Wax Extra Gloss 150 ml / 5 fl. oz. We at dambiro have a passion for Italian products and therefore we offer in our online shop the best known and most traditional Italian brands in the world of personal care and cosmetic products, such as: Paglieri, Malizia, Borotalco, Giardini dei Sensi and many more brands. Of course, we are always looking for current trends and the latest products. 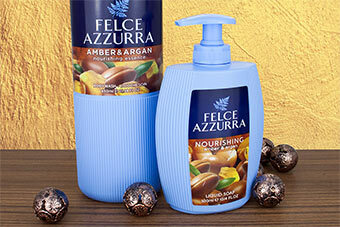 Thus, we are constantly expanding our product range, not only for Italian but also for international brands. In addition to personal care products for the whole family, we also specialize in a wide range of perfumes from Italy as well as from international perfumers. You can find well-known classics and fragrances in our range such as Pino Silvestre and Visconti di Modrone, as well as rarities from exclusive perfume designers or fragrances, which are rarely found in selected perfumeries. For genuine niche perfumes, we would like to recommend our specially created page www.parfumlounge.de where you will find selected fragrance treasures. The gentlemen also come at their expense. Selected brands for shaving and beard care such as Cella, Proraso and Prep complete our offer. Our range of shaving and beard care ranges from the best-known international brands to traditional Italian brands that have been successfully producing men's care products for decades. Our extensive range of shaving brushes from Omega leaves nothing to be desired and includes, among other things, a wide selection of shaving soaps for classic wet shaving as well as high-quality beard oils and much more for daily beard care. Our range of selected items for baby care leaves also nothing to be desired. Another specialty of dambiro are scented candles. We have a huge selection of candles and offer almost the complete product range of the market leader Yankee Candle. Furthermore, we have numerous scented candles from Heart&Home and other manufacturers in the range. But not only that. Because, as scented candle lovers know, classic scented candles do not stop them. That's why we also offer votive candles, scented tealights and tarts. For the tarts you can directly order the matching fragrance lamps, for example from Yankee Candle. Thus, we fulfill scented candle fans with our assortment almost every wish. With this concept, we have been successful for over 10 years and look forward to more successful years, in which we can make you happy as a customer with well-tried and new products. One thing is always important to me personally in our selection: The quality, the price and the function of the article must satisfy you as a customer, because only then you look back with us and look forward to special products that you usually find not so easy. Best regards, D'Ambrosio Roberto with the dambiro team. On our blog "mydambiro.de" there are interesting stories, tips and information about beauty, body care, perfumes and scented candles. And in our online guide we have other helpful tips. At dambiro we guarantee that all products sold here are 100% original. Our branded products come directly from the manufacturer without detours. Summer discount! Only for a short time! We look forward to the summer and therefore give you a good-humored 20 percent discount on all GEOMAR products! With nourishing argan oil and beguiling amber interweave white flowers, vanilla, almond, sandalwood and a small splash of lemon. 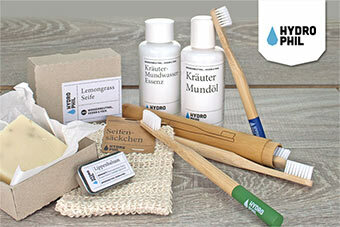 To sensitize customers in everyday life with their products for a more sustainable consumption. "We want to achieve beautiful things with beautiful things," says the Hamburg company founder. 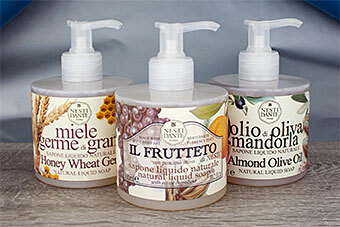 The three skin-care soaps with natural ingredients are ideal for daily cleaning. The contained olive oil nourishes the skin, restores its elasticity and provides it with sufficient nutrients. NEW on dambiro.de: individual vouchers!!! 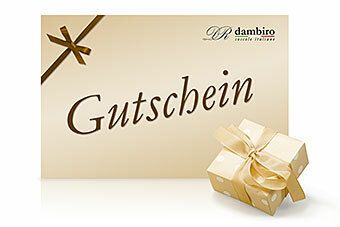 Our dambiro vouchers open the door to the great variety of dambiro.de! Expect noble perfumes, high-quality care products, home lines and traditional Italian brands. 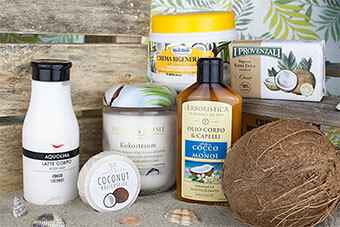 Body, face and hair: The oil from the flesh of the coconut is a true all-rounder and due to its antibacterial and nourishing power even for irritated, oily problem skin ideally suited.